Approxmiately 800m² of Cembrit Cembonit cladding has been used to overclad an apartment block in Portsmouth. Undergoing a number of internal and external refurbishment works, the building now features an attractive stair tower which combines Cembonit Flint and Granite. The apartment block is situated in the heart of Portsmouth, on Westminster Place, just a few miles away from the popular designer shopping outlet Gunwharf Quays and the Historic Dockyards. The property has benefitted from a series of small alterations including new privacy screens on the balconies and replacement panels for the communal walkway. The stair tower was in particular need of a face lift, and required a material which would be striking to look at, but also durable against water staining. Ashford-based cladding specialist, Teiko Ltd was the main contractor on the project. The team specified, cut and installed the Cembrit Cembonit cladding. “Overcladding projects can often prove difficult, but Cembonit caused us no problems” said Matt Swaffer of Teiko Ltd. The material was incredibly easy to cut and fix. We were particularly impressed with the face side quality. We wanted to provide an attractive design so predominantly installed Cembonit in Flint, with around 10% of the cladding being in Granite. This created a great feature for the stair tower and has rejuvenated the appearance of the whole property. Cembonit has a range of 11 pastel coloured impact resistant boards characterised by an attractive matt finish. The autoclaved cladding sheets are available in eleven through coloured options which exhibit a matt, optically level surface with a faint directional grain. During the production process, Cembonit receives a unique impregnation treatment which effectively protects against water staining and dirt, ensuring that the facade retains its attractive appearance in both dry and wet weather conditions. 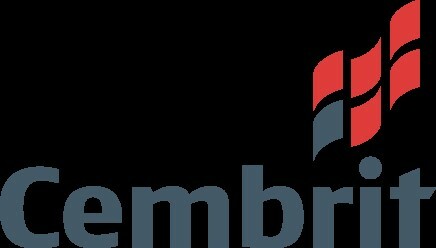 The combination of colour stability with a class 0 fibre rating to BS 476 part 6 and a class 1 rating to BS 476 part 7 makes Cembonit ideal for overcladding rainscreen applications. Randomly dispersed spherules of cement in Cembonit’s surface and variations of shade from sheet to sheet will assist in creating a natural looking façade. The sheets can be used for a range of applications, such as; rainscreen cladding, weatherboarding, window elements, fascia, balconies and prefabricated facade elements. For further information visit www.cembrit.co.uk, email [email protected] or for a copy of the technical data sheets tel: +44 (0)20 8301 8900.